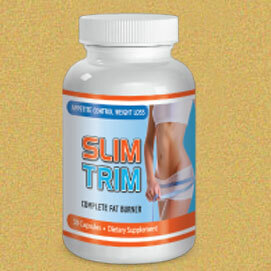 SLIM TRIM offers a double effect of weight loss and the antioxidant power of Green Tea. This unique combination of natural herbs have been carefully selected for their ability to help with weight loss. appetite, boost metabolism, increase energy levels, burn fat, maintain a healthy body weight. WARNING: KEEP OUT OF REACH OF CHILDREN. Not intended for use by persons under 18 years of age. Do not use if you are pregnant or nursing. Do not use if you suffer from heart disease, high blood pressure or cerebrovascular disease. If you are taking any medications, please consult your doctor before using this product.